This past year, we initiated a set of Priority Projects, updated our web presence including a new domain name (www.fwculture.com) and website, and adopted a member management system to help us better serve you in the future. Have a recommendation for a Priority Project in 2018? Please send an email to admin@cdafw.org with the subject 2018 Priority Project. Help make our 25th Anniversary Year the best one yet! It is through the generous support of our members that we are able to consistently improve the preservation and promotion of the Cultural District. As we enter our 25th year of service to the community, we invite all you to renew your membership to the Cultural District Alliance or join to become an active part of our work. Thank you to our sponsors to date: UNTHSC, Regions Bank, JaGee Properties, Amon Carter, Kimbell Art Museum, Republic Title, Inwood National Bank, Centergy West 7th, Legacy Texas Bank, VLK Architects and Kensington Properties. Click here to find the level of support that is most meaningful to you! Please join us for the CDA Annual Banquet - 25th Anniversary Celebration, proudly presented by Regions Bank and UNT Health Science Center. on March 7, 2018 at the Kimbell Art Museum. To reserve your sponsorship level, table, or seat, please click here. Or, to email your response, please download and email this packet to admin@cdafw.org. We look forward to celebrating the last quarter century with you! To address Fort Worth’s unprecedented growth and the challenges that come along with it, the City Council will call for a bond election in May 2018. If approved by voters, the bond package would provide funding to build new roads and repair existing ones; add new park amenities, community centers and public safety facility improvements; and replace an aging library. A new video provides an introduction to the bond process and mentions some of the priorities for the proposed bond election. To learn more, visit here or watch this video introduction to the bond process and mentions some of the priorities for the proposed bond election. You're invited to a Better Block Community Walk & Talk event with the Linwood Neighborhood Association on September 20th at 362 Foch St. next to the entrance of the Linwood Park from 5:30 p.m. – 7:30 p.m. for an open, inviting, and different way of engaging with your city about what you want to see change and be better. Residents, community leaders, artists, planners, clergy, teachers, students, and businesses are all invited to join our Community Walk & Talk to engage in making a better Linwood. Heavy appetizers and beverages will be provided. The belief is 'better block makes better neighbors'. And a better local economy. A better block includes more local business, more time outdoors, more beauty, more life. It offers more pathways and protections for bicycles and pedestrians. It encourages more engagement and connection with those in the neighborhood.Better cities start with better blocks. To learn more, visit here or watch this video from another community. 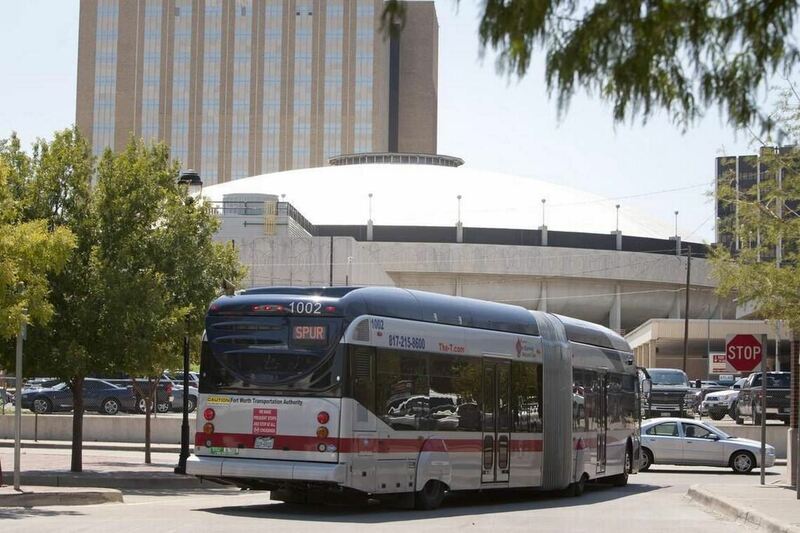 The Tarrant Transit Alliance has been formed to advocate for better transit in Tarrant County. The focus of the alliance will be to educate the public and elected officials about the benefits of transit. It was formed on the belief that investment in transportation infrastructure, particularly public transit, drives growth. Better transit attracts development and increases property values along its corridors. It connects restaurants to diners, landlords to renters, families to local stores, and employers to employees. To learn more, visit the organization's new Facebook page or read this article.